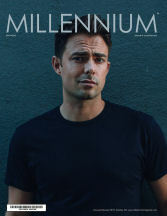 November 13, 2017 by Warren Woodberry, Jr. Escape bustling city life at Resorts World Bimini Bahamas for island adventure and relaxation. Whether in Miami or New York, a fun Caribbean getaway at Resorts World Bimini Bahamas is just 50 miles from the Florida coast; just 30 minutes by air & seaplane, and for New Yorkers, direct flights from Newark Airport will get you there in two hours. Resorts World Bimini Bahamas is just the spot to hang out with friends for a weekend jaunt. The excitement begins just prior to your arrival. By seaplane you’ll get a bird’s eye view of the Miami or Fort Lauderdale city skylines, but in no time you will soon see the vibrant turquoise ocean and lush green islands just before you land directly at the resort. Round-trip flights are available daily and it is a good way to avoid long lines at commercial airports. Bimini is the closest Caribbean island to the U.S. coast and is made up of two large islands – North and South Bimini. Guests arriving by plane will land at South Bimini and can get to the resort by a short taxi ride from the terminal to South Bimini Port for $5 per person. At the Port, guest hop a quick ride across the waters to the property. The Resort provides free ferry service that will take you directly there. 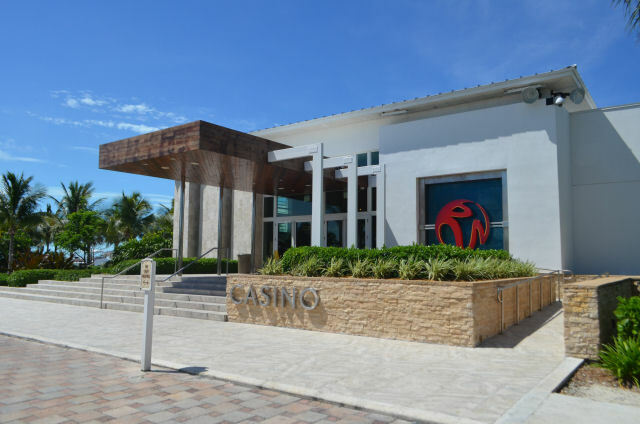 You’ll make your stay at The Hilton at Resorts World Bimini, a newly built property housing 305 luxury rooms, 10 restaurants, cafes and bars along with three stunning pools. Upon entering the lobby guests will find it bustling with energy as excited guests go to and from the hotel. An oyster and drink bar is directly behind the concierge so guests can waste no time winding down after check-in. 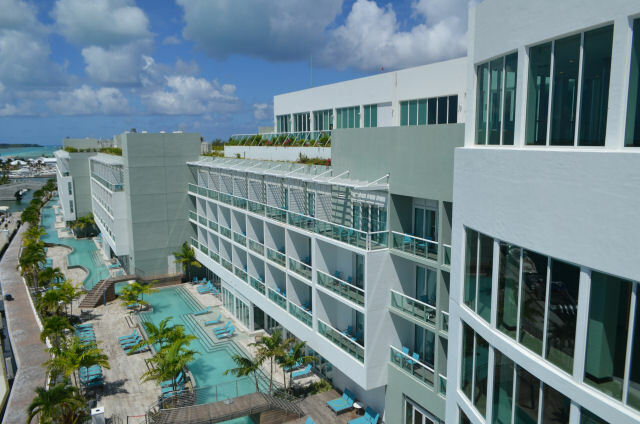 Each spacious Hilton accommodation features 1 king or 2 queen-sized beds, floor-to-ceiling windows, large modern bathrooms, and balconies where you can relax and take in the surrounding island beauty. The 750-acre premier luxury beachfront resort spans approximately half the island and also offers villas for sale. Resorts World Casino is the first in the world to boast panoramic water views. 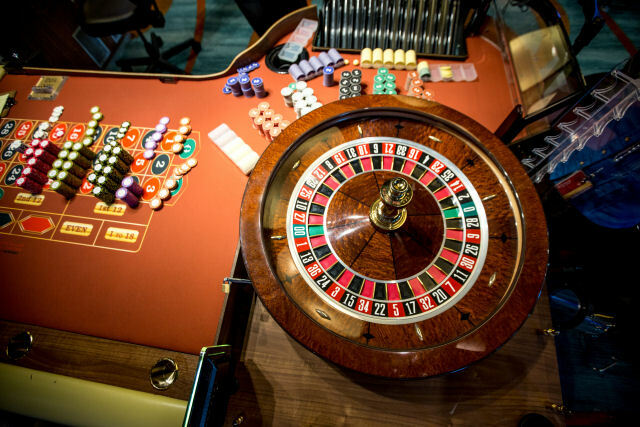 It’s a 10,000 square-foot, live action casino with popular tables with competitive table limits including Baccarat, Blackjack and Roulette. 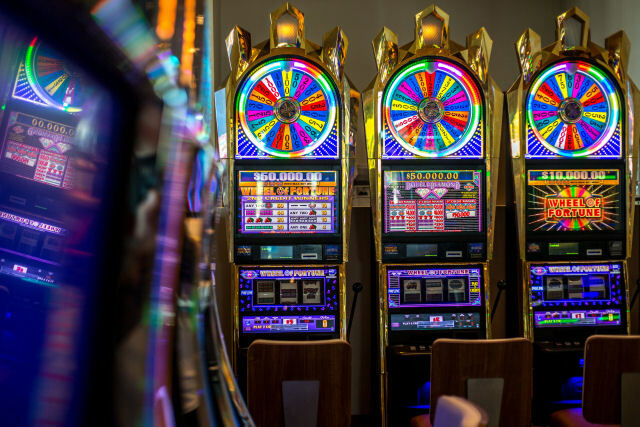 It also has 160 slot machines and a high-limit gaming salon. Fisherman’s Village is the resort’s charming marketplace where guests can explore an array of restaurants, bars, stores, and amenities, including a fitness center, Dockmaster’s office, restroom, and shower facilities. Spend your time lounging on some of the Caribbean’s most beautiful beaches with miles of white-sand and bright blue waters at Paradise beach. Or, relax at one of three distinct swimming pools, be it Sabor’s large, family-friendly pool and Jacuzzi, the ground floor lagoon-style pool or the adults-only rooftop infinity pool offering stunning views of the turquoise horizon. Monkey Business is the rooftop grill serving light bites. Guests shuffle back and fourth between the bar to order bites, frozen Margueritas and Daiquiris, their deck chairs where they simmer under a hot Caribbean sun, and then the cool soothing waters of the infinity pool to take in endless views with drink in hand. For eats, try the hotel Sushi Bar that was curated by Bravo Top Chef Season 3 winner, Chef Hung Huynh. Enjoy family-style dinner of fresh sushi and other Japanese-inspired dishes. The restaurant is quite open, and doesn’t have a buffer between it and the noisy lobby. Conversations could be hard to have between the chatters of people walking the great hall to and from the casino, their rooms, and other shops. 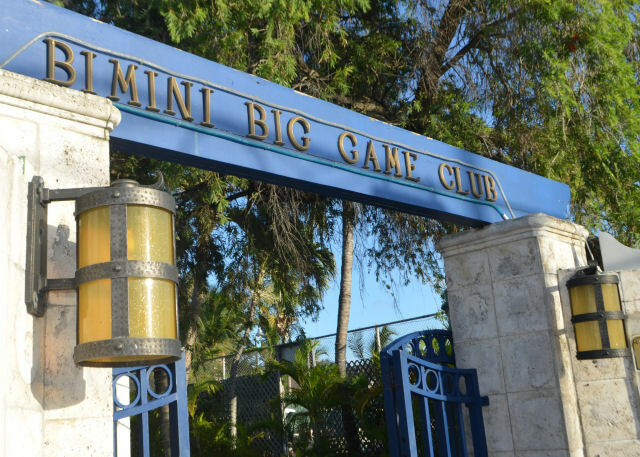 A bit down the road from the hotel is Bimini Big Game Bar and Grill, one of Ernest Hemingway’s favorite Bimini hangouts. Just a short ride by rental golf cart, Bimini Big Game Club features a marina-facing restaurant that sits right on beautiful Bimini Bay, serving up local Bahamian favorites. 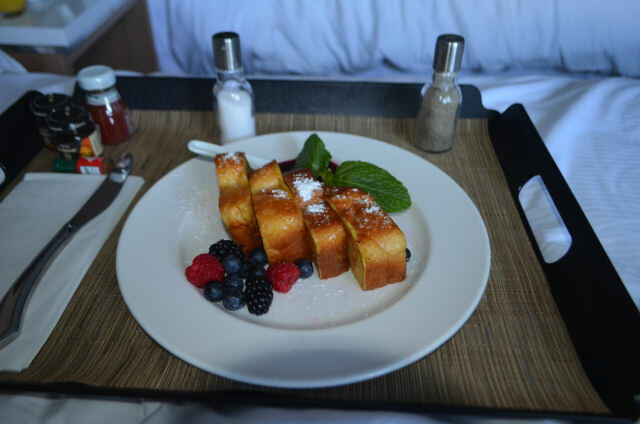 For breakfast, one may consider room service. Food on the full breakfast menu is pretty good and nice to enjoy while breathing the fresh morning air outside on your hotel room balcony. Connect with the local culture and stroll the streets of Bimini’s quaint towns to discover friendly faces of locals eager to share stories of their beloved island. Throughout its history Bimini boasts an impressive number of world-class anglers, writers and statesmen. Bimini is where Dr. Martin Luther King, Jr. ventured and gathered his thoughts to write his famous “I Have a Dream” speech. It also is where Ernest Hemingway enjoyed sport fishing. With the largest marina complex in the Bahamas, Resorts World Bimini is the center of the Big Game Fishing Capital of the World. Bike riding is a great way to cruise along this narrow 7-mile island. 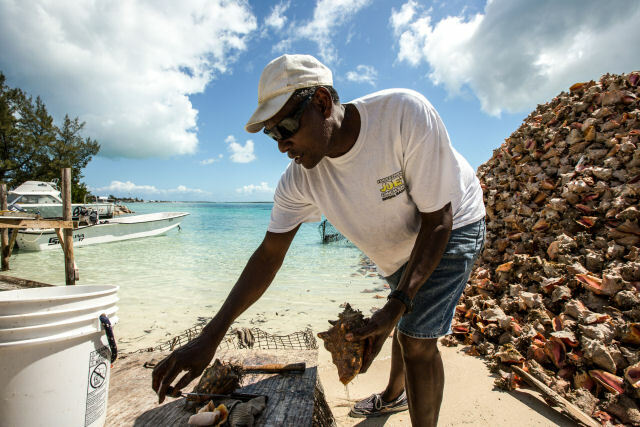 As you make your way through town, you will see long lines of visitors at roadside conch stands. Conch salad is a local specialty and worth the wait to sample. Be sure to check out Edith’s a Bimini staple with craveworthy pizzas baked on top of sweet Bimini bread crust. About 2,000 people reside on the island, with most of the Resort staff coming to work there from neighboring islands so will likely never encounter crowding anywhere. 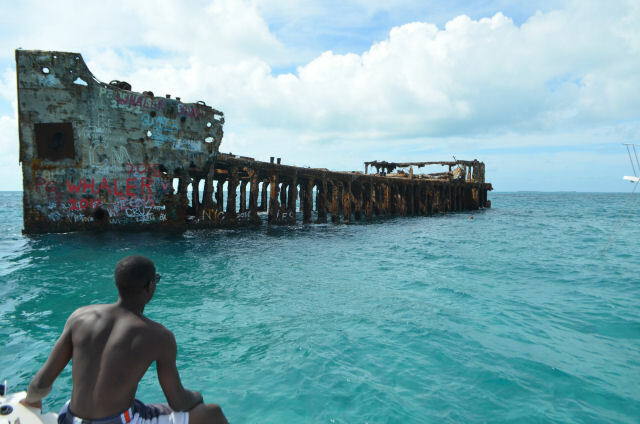 One of the more interesting sites here is the SS Sapona a cargo steamer that ran aground near Bimini during a hurricane in 1926. 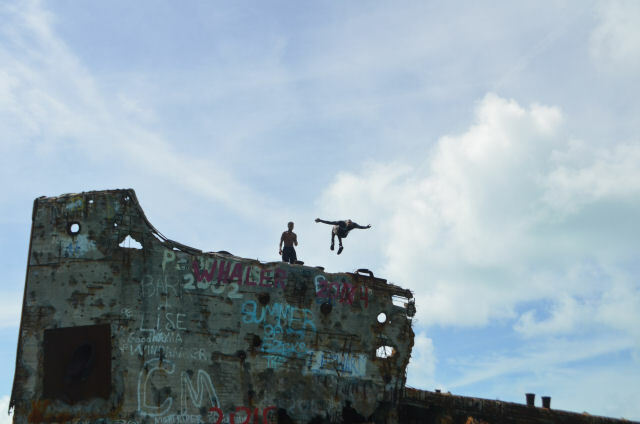 The concrete-hulled ship is a popular spot for divers and snorkelers that come by the dozens to surround the rusted wreck by boat and jet ski. Some manage to climb atop the hull then dive into the waters, while others explore the submerged hull in the waters below. Once used as a warehouse for alcohol during the Prohibition era, its owner had intended to use the ship as a floating nightclub that never came to fruition. However, boaters today pull up along side its hull to blast electronic dance music turning the ocean into one big party scene. 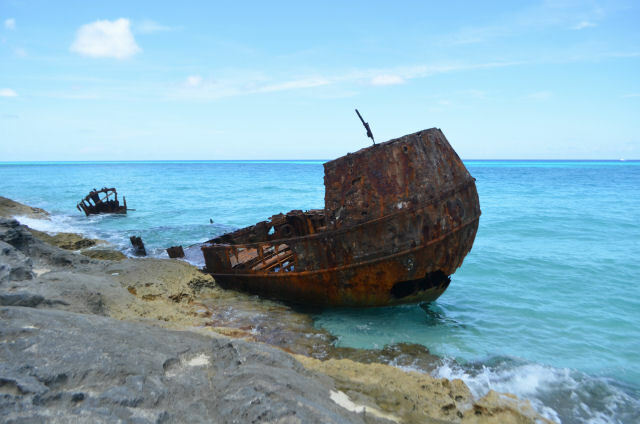 Resting on the rocks of North Bimini is the Gallant Lady wreck, another rust hull of a ship stranded on the shoreline. The once small freighter sailed out of Belize City and was smashed up on shore during Hurricane Mitch in 1997. 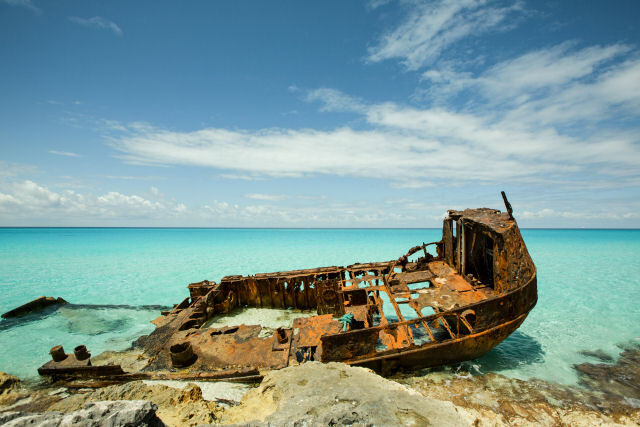 Unlike Sapona, this wreck is not one to dive off or swim around. It is a notable landmark visitors enjoy posing by for pictures. For the daring who want to be part of the action and not pretenders, the Resort will arrange a dive and snorkling excursion to Honeymoon Harbor where you’ll be able to hop overboard into shallow waters to interact, pet, and feed stingrays and mud sharks. 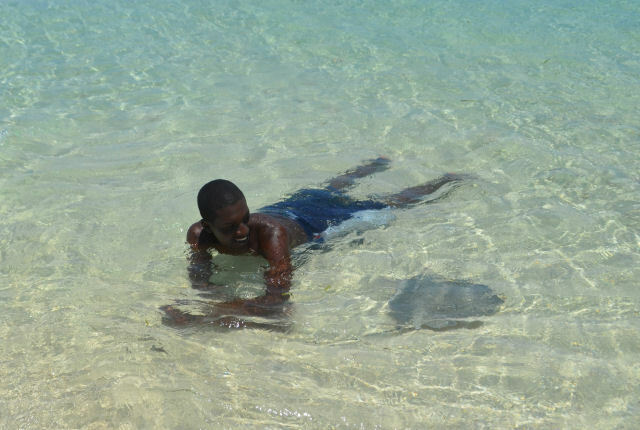 Fish & Game Wardens remove stingers from the rays, but just in case they’ve missed some, it is advised to avoid stepping on top of a stingray. one should shuffle their feet when entering and exiting the water as opposed to taking big steps. Stingrays detect the shifting sand and will move out of the way. Once you enter the water with fish food in your hands, you’ll see them race up to you, as they “fly” through the water with their wing-like fins, you will feel their sleek bodies tickle your legs. They are quite friendly and accustomed to humans feeding them. A great way to come back to center just before dinner after an adventurous day at sea, be it paddle boarding, snorkeling or jet ski racing, is to relax and rejuvenate at the luxurious Serenity Spa and Salon where they offer world-class body and beauty treatments. Then if you feel guilty about last evenings dinner, deal with it by working up a morning sweat in the hotel’s new, state-of-the-art fitness center, featuring the latest in high tech equipment. All the treasures of Bimini are more accessible than ever before with new flights from Newark, West Palm Beach, and Tampa. Take advantage of several special travel packages offered through the Resort’s web site at https://www.rwbimini.com.